Though Bengaluru’s weather has been a tad moody the past couple of days, it is common knowledge that come summer, as the temperatures rise, so will the water tanker prices. 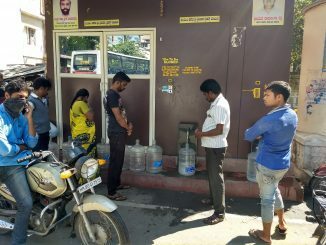 Earlier this year, Citizen Matters had assisted in collecting data for a joint study between a student from MIT’s Department of Urban Studies and Planning, and IIM Bangalore’s New Real Estate initiative on the water tanker industry in Bangalore. Here are the results from the survey. This map aims to give information about water tanker rates across the city of Bangalore, and an insight into the availability (or lack of) water in these areas. Click on a map pin and the relevant information for that area will pop up. We are also looking to track the variation in pricing with seasons. You can also share any information regarding water tankers and pricing, by filling the form below. The data you share will be added to the map. Survey: How much do you pay for water in Bangalore? Documentary film ‘Water and a City’ traces the journey of water into and out of urban Bangalore homes.